The Tijuana River Watershed encompasses a region of approximately 1,750 square miles on both sides of the US-Mexico border. Due to the watershed’s binational nature, water quality issues require significant coordination between agencies of both countries. This summary, however, will focus primarily on the portions of the Tijuana River Watershed located within US boundaries, otherwise referred to as the Tijuana River Watershed Management Area (WMA). The WMA constitutes approximately twenty-seven percent (27%) of the watershed and is the southernmost WMA within the San Diego region, bordering the San Diego Bay WMA to the North and Mexico to the south. Rainfall to the area primarily drains through the Tijuana River, which stretches roughly 120 miles and is sourced from two main tributaries, one originating in the Laguna Mountains (US) and one originating above the Abelardo L. Rodriguez Dam (Mexico). Although only a relatively minor portion of the watershed area is within California, surface runoff in Mexico and the U.S. end up in Tijuana River and are eventually discharged to the Tijuana Estuary and Pacific Ocean on the U.S. side of the international border. The Tijuana River WMA has historically supplied area residents with potable water sourced from one of two U.S. reservoirs: Moreno Reservoir and Barrett Lake. Both reservoirs can be found in the eastern half of the watershed, and the majority of their outflows are diverted into Otay Lake, located in the San Diego Bay WMA. In recent years, however, they have seen significant reductions in water volume as a result of the ongoing drought. The watershed exhibits a marked difference in the level of land development on either side of the international border. Within the U.S.-controlled Tijuana River WMA, most of the land remains undeveloped. Here, undeveloped lands constitute a whopping eighty-six percent (86%) of the land area, followed by residential land uses at seven percent (7%), agricultural land uses at three percent (3%), and transportation at two percent (2%). The Tijuana River Watershed is estimated to be home to a total of 2,800,000 residents, only about 83,000 of which live on the U.S. side. The vast majority of the population is concentrated in the Cities of Tijuana and Tecate, south of the international border. Due in part to the extensive development in the Mexican portion of the watershed, the Tijuana River and other discharge points suffer from several human-induced pollutants, which have the potential to negatively impact how residents, business-owners, and tourists use and interact with local water bodies. It is important to note, however, that the watershed serves more than just humans. The Tijuana River Watershed consists of a variety of unique and diverse ecosystems that act as critical habitat for a number of endangered species, including the Light-footed clapper rail, least bell’s vireo, and the California least tern. Many of the water bodies support multiple beneficial uses. 470 miles2 in SD County and ~1750 miles2 total (including Mexico). In WMA, Tijuana Estuary, Tijuana River, Cottonwood Creek, Pine Valley, Campo Creek, Barrett Lake, and Lake Moreno. The Tijuana WMA contains a number of environmentally sensitive areas (ESAs), as defined in Chapter 5 of the San Diego Regional Basin Plan. When excessive quantities of pollutants are deposited into these water bodies, they may inhibit many or all of these beneficial uses and can result in actions such as beach closures and postings, etc. 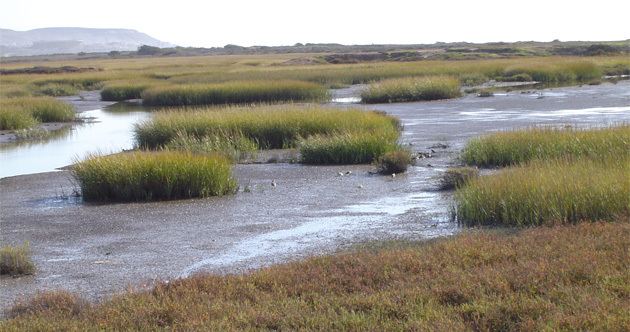 The Tijuana Estuary, a National Estuarine Sanctuary that supports a variety of threatened and endangered plants and animals, for example, is threatened by inflows from the Tijuana River containing high concentrations of Coliform bacteria, sediment, trace metals (copper, lead, zinc, chromium, nickel, and cadmium), PCBs, and other urban, agricultural, and industrial pollutants. Sources of these pollutants include urban runoff, sewage spills, industrial discharges, agriculture, orchards, livestock, domestic animals, and septic systems. Under Section 303(d) of the Clean Water Act, parts of the Pacific Ocean Shoreline were identified as impaired for Coliform bacteria and Enterococcus bacteria, most of which originates from the Mexican portion of the Tijuana River Watershed. However, the Tijuana River and the Tijuana River Estuary were also impacted by turbidity, sedimentation and siltation, low dissolved oxygen concentrations, pesticides, and other pollutants. These constituents are expected to be addressed through a number of best management practices and regular monitoring. As part of the process to address these issues, copermittees (also referred to as Responsible Agencies (RAs)) are required to develop a comprehensive Water Quality Improvement Plan (WQIP) for the WMA that identifies highest priority water quality conditions, strategies to address them, and monitoring plans. The WQIP and associated Annual Reports are required by Order No. R9-2013-0001 as amended by Order Nos. R9-2015-0001 and R9-2015-0100 and pertain specifically to improving the quality of both storm water and non-storm water discharged by copermittees’ municipal separate storm sewer systems. The final WQIP for the Tijuana WMA was submitted to the Regional Water Quality Control Board and was accepted in February 2016. Copermittees have chosen to focus their treatment and cleanup efforts on sedimentation and siltation in the Tijuana River and turbidity in the Tijuana River and Tijuana River Estuary, conditions which have been classified as highest priority water quality conditions. The only hydrologic area within the Lower Watershed, the Tijuana Valley system is situated adjacent to the Pacific Ocean and covers a land area of 19,700-acres or about seven percent (7%) of the WMA. Management of the storm water conveyance system in the Tijuana Valley Hydrologic Area falls on the cities of San Diego and Imperial Beach. Home to a number of endangered and threatened plant and animal species, the Tijuana River National Estuarine Research Reserve is located near the mouth of the Tijuana River and is composed primarily of wetland habitats. Many native coastal birds are known to occur here, including the light-footed clapper rail, California least tern, western snowy plover, and California gnatcatcher. Also found here, the salt marsh bird’s beak is just one of a number of endangered plants that naturally thrive in the Reserve’s expansive marshlands. Although the most extensive development has occurred in the Mexican portion of the watershed, the Tijuana Valley Hydrologic Area remains the most developed system in the Tijuana WMA (on the U.S. side). Still, the sub-watershed maintains a fair amount of open spaces and undeveloped lands, constituting about fifty-four percent (54%) of its land area. Additional land uses include transportation (14%), agriculture (11%), and residential (10%). Relative to systems upstream, the Tijuana Valley Hydrologic Area suffers from the most pressing water quality issues of the WMA. Experiencing rapid growth in the late 20th and early 21st centuries, the City of Tijuana has become the leading source of a number of non-storm water flows into Tijuana River and Estuary. International agreements aimed at minimizing contamination to the River have been developed and require considerable coordination between agencies on both sides of the border. Nevertheless, these issues persist and the Tijuana Valley system is inclusive of a number of water bodies listed as impaired under Section 303(d) of the Clean Water Act. The Tijuana River Estuary, for example, has been found to contain concentrations of indicator bacteria, nitrogen, phosphorus, pesticides, and selenium that have the potential to pose risks to human health. It also suffers from extensive sedimentation and siltation, low dissolved oxygen concentrations, occasional eutrophication, and toxicity. Downstream, the Pacific Ocean shoreline is impacted by coliform bacteria and enterococcus. What is one endangered plant that grows in the Tijuana River National Estuarine Research Reserve? Beginning just below the Barrett Dam in the east, the Potrero Hydrologic Area covers a land area of about 54,000 acres or eighteen percent (18%) of the Tijuana WMA. The system lies entirely within the County of San Diego, making the County the sole permittee for the area’s municipal separate storm and sewer systems. 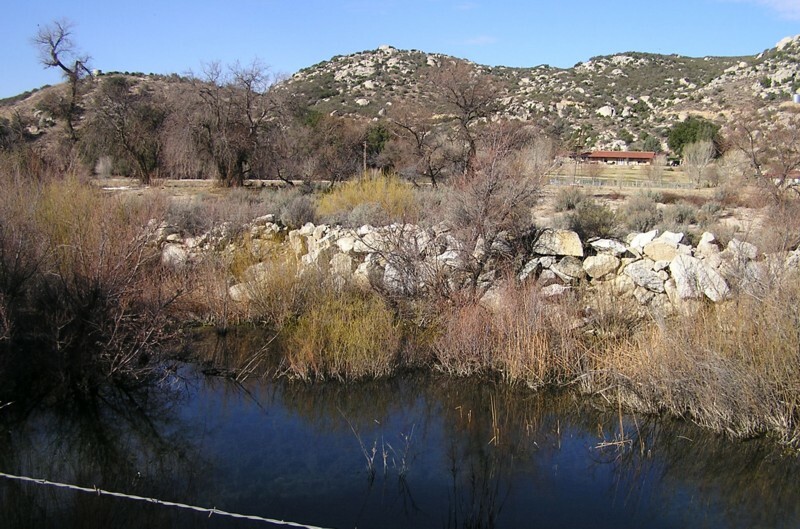 Primary water bodies in the Potrero Hydrologic Area include Cottonwood and Tecate Creeks. After collecting in Tecate Creek, surface runoff is then directed across the international border into Mexico via Tijuana River. In the Potrero Hydrologic Area, open space and undeveloped lands dwarf other land uses, constituting eighty-seven percent (87%) of the system. Residential land uses make up an additional nine percent (9%) of the land area. The drainage basin contains one water body that is impaired under Section 303(d) of the Clean Water Act. In the Potrero Hydrologic Area, Tecate Creek has been identified as impacted by selenium. What are the two main water bodies within the Potrero Hydrologic Area? 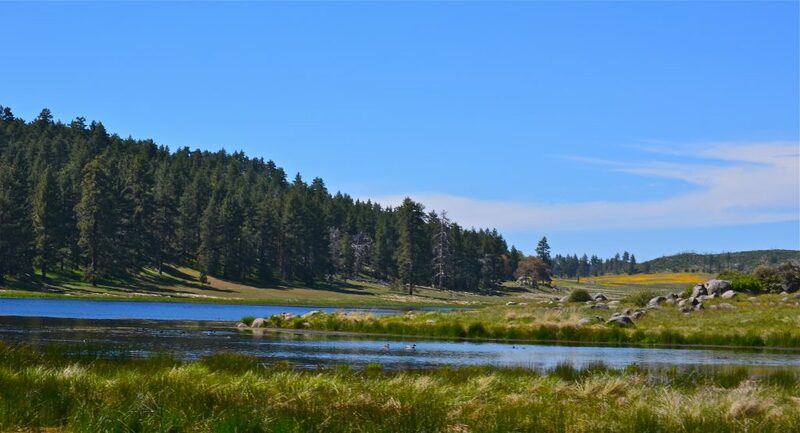 Located just below the Monument and Morena systems, the Barrett Lake Hydrologic Area encompasses a land area of about 58,000 acres and makes up approximately nineteen percent (19%) of the WMA. After Campo, it is the second largest sub-watershed within the Tijuana WMA. 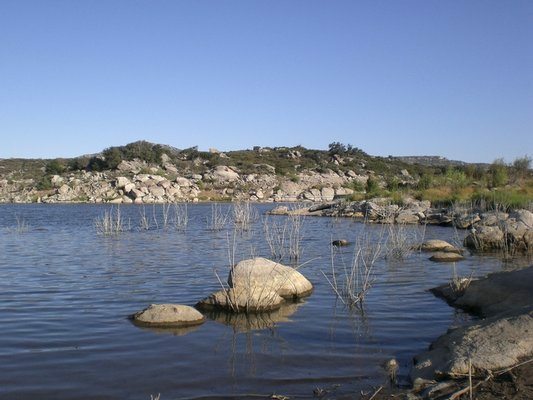 Under the current National Pollutant Discharge Elimination System (NPDES) permit, which outlines monitoring and assessment requirements, the County of San Diego is the sole permittee for the Barrett Lake system. The hydrologic area contains an assortment of noteworthy water features including Pine Valley Creek and Cottonwood Creek, which converge downstream behind the Barrett Dam to form Barrett Lake. Like many of the reservoirs in the region, Barrett Lake is man-made, and was established after completion of the Barrett Dam in 1922. Currently, the recent drought has significantly reduced the lake’s volume to a fraction of what it was at its peak. Still, the lake provides for a number of beneficial uses, including recreational uses. Today, for example, the lake is open to fishing only by reservation, and under a strictly enforced catch-and-release policy. The Barrett Lake Hydrologic Area has not been subject to the extensive development common in other WMAs. Here, approximately ninety-six percent (96%) of the land area is maintained as undeveloped or open space lands. A fair share of this open space lies in the Cleveland National Forest, a 460,000 acre national forest that is also home to a number of endangered and threatened species. Despite relatively minimal development, water bodies within the Barrett Lake Hydrologic Area are not without impairments. In fact, Barrett Lake has been listed as impaired under Section 303(d) of the Clean Water Act for color, manganese, perchlorate, total nitrogen as N, and pH. How does the Barrett Lake Hydrologic Area compare to its counterparts in size? Monument Hydrologic Area is situated at the northeastern tip of the Tijuana WMA and comprises about 24,000 acres. Similar to much of the rest of the WMA, the County of San Diego is the sole permittee for the area’s municipal separate storm and sewer system. Land use in the Monument Hydrologic Area resembles that in its counterparts. Land here remains relatively untouched and undeveloped; open space areas constitute ninety-three percent (93%) of the land area. Noble Canyon and Mount Laguna its nearby lakes are some of the major landmarks in the Monument Hydrologic Area. Still, water bodies in the system are not unaffected by pollutants. Upper Pine Valley Creek, for example, has been identified as highly turbid and therefore, impaired, according to Section 303(d) of the Clean Water Act. What proportion of the hydrologic area remains undeveloped? 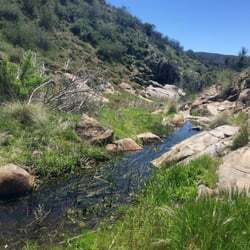 Constituting a land area of approximately 13,000 acres, the Morena Hydrologic Area is approximately four percent (4%) of the entire WMA and is completely within the jurisdiction of the County of San Diego. It is also the smallest system within the WMA. A sizable portion of the hydrologic area is made up of the Cleveland National Forest, a 460,000 acre national forest which contains a number of sensitive plant and animal species. Furthermore, in the Morena Hydrologic Area, open spaces and undeveloped lands make up approximately ninety-five percent (95%) of the land area. The system also contains Morena Reservoir, a lake that was established with the creation of the Morena Dam in 1912. In recent years, the Reservoir has been significantly impacted by the prolonged drought, dropping to four percent (4%) of its original capacity in 2014. This was due in part to continued withdrawals being made by the City of San Diego to augment pre-existing water supplies. Unfortunately, the water remaining in the Morena Reservoir has been identified under Section 303(d) of the Clean Water Act as impaired for ammonia as nitrogen, color, manganese, phosphorus, and pH. 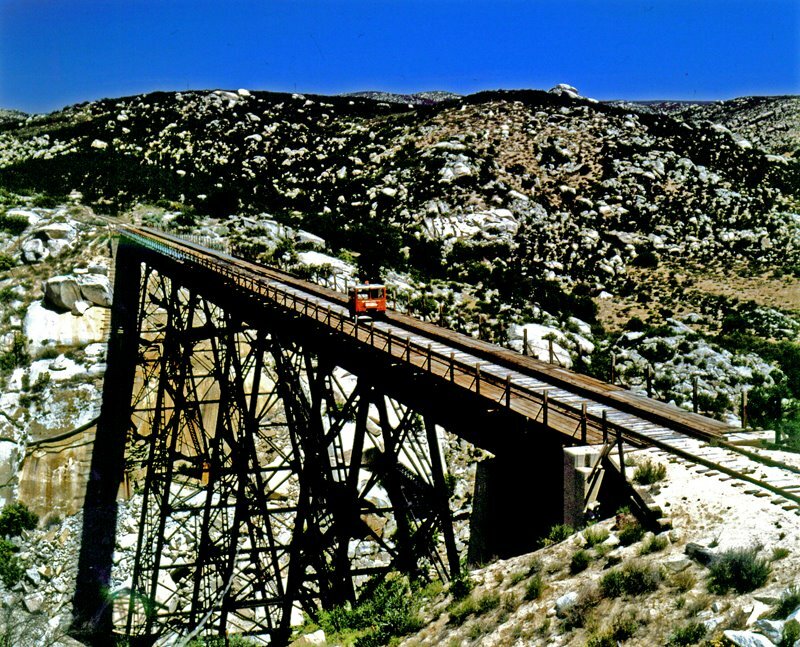 Which national forest is located at least partially within the Morena Hydrologic Area? Nearly 29,000 acres in size and constituting about ten percent (10%) of the Tijuana WMA, the Cottonwood system can be found in the middle of Monument, Morena, and Cameron Hydrologic Areas. Like those drainage basins, the County has been identified as the sole permittee for the Cottonwood Hydrologic Area. Although over ninety percent (90%) of the system is undeveloped, the system still contains water bodies impaired by pollutants under Section 303(d) of the Clean Water Act; namely, Cottonwood Creek has been listed as affected by selenium. Which is the sole copermittee for the Cottonwood Hydrologic Area? The Cameron HA is located in the upper reaches of the WMA and constitutes roughly 30,000 acres of land. Except for federal and tribal lands, all land is within the jurisdiction of the County of San Diego and is therefore subject to municipal separate storm and sewer system requirements. The system encompasses a number of Indian Reservations, including La Posta Indian Reservation and Manzanita Indian Reservation. Land use, however, remains fairly minimal within the Cameron Hydrologic Area. Approximately ninety-four percent (94%) of the system is undeveloped and open space lands. Cameron Hydrologic Area is home to which Indian Reservations? 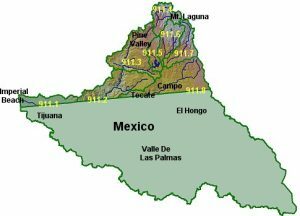 At about 69,000 acres and comprising roughly twenty-three percent (23%) of the WMA, the Campo Hydrologic Area is the largest of the Tijuana systems. Despite its size, the County of San Diego completes all monitoring of the storm water conveyance system within the hydrologic area. The Campo Hydrologic Area contains some Native American tribal lands, including the Campo Indian Reservation. These lands are not subjected to the same requirements that the remainder of the system under San Diego County’s jurisdiction are. Land usage in the Campo Hydrologic Area is broken down primarily into two categories – undeveloped lands and open spaces, making up about seventy-six percent (76%) of the system, and residential lands, making up about fifteen percent (15%). The remaining lands are dedicated to miscellaneous uses. Lying in the upper reaches of the WMA, the hydrologic area has avoided many of the water quality issues that are present downstream. What is the second most significant land use after undeveloped lands? “Barrett Reservoir.” The City of San Diego. The City of San Diego, n.d. Web. <https://www.sandiego.gov/water/recreation/reservoirs/barrett>. Luke, Steven, and Andie Adams. 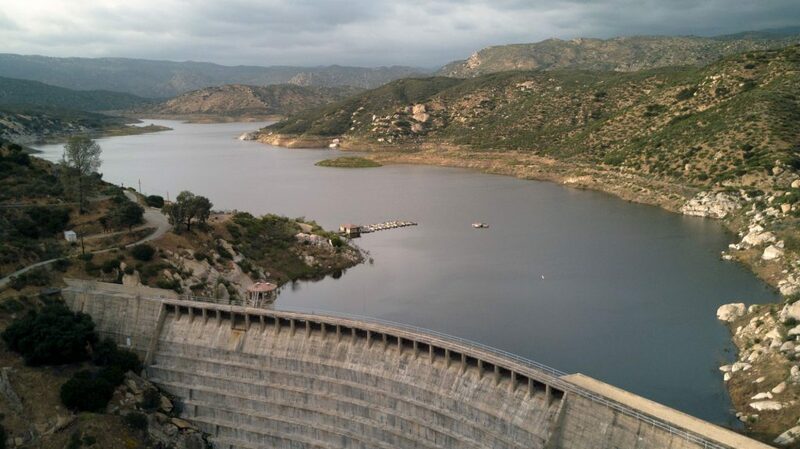 “Lake Morena Drained to 4% Water Capacity.” NBC San Diego. NBC San Diego, 28 Mar. 2014. Web. <http://www.nbcsandiego.com/news/local/East-County-Lake-Drained-to-4-Capacity-252995161.html>. “Plant Communities.” Tijuana River National Estuarine Research Reserve. TRNERR, n.d. WEb. <http://trnerr.org/plants-and-habitat-types/>. “Protecting Endangered & Threatened Birds.” Tijuana River National Estuarine Research Reserve. TRNERR, n.d. Web. <http://trnerr.org/protecting-endangered-threatened-birds/>. San Diego County MS4 Copermittees. 2008. Tijuana River Watershed Urban Runoff Management Program (WURMP). Final, March 2008. Submitted to the San Diego Regional Water Quality Control Board by the Tijuana River Watershed Copermittees. San Diego County MS4 Copermittees. 2016. Tijuana River Watershed Management Area Water Quality Improvement Plan (WQIP). Final, March 8, 2016. Submitted to the San Diego Regional Water Quality Control Board by the Tijuana River Copermittees. Prepared by URS Corporation for the San Diego County MS4 Copermittees: City of Imperial Beach, City of San Diego, County of San Diego. State Water Resources Control Board. 2010. California’s 2010 Clean Water Act Section 303(d) List of Water Quality Limited Segments. Approved October 11, 2011. Sacramento, CA: State Water Resources Control Board.